Anna Janle Hoehing passed away Friday, November 9th at Spring House Estates, Willowbrook Court Skilled Care Center in Ambler, Pa. She was born on April 16, 1932 to Anna and Frederick Janle of Philadelphia, Pa.
Anna attended Girls High School in Philadelphia and earned a Bachelor of Arts degree from West Chester University, then West Chester State Teacher’s College, in West Chester, Pa in 1953. She married Joseph G. Hoehing on February 20, 1954. Mrs. Hoehing and her family lived in Philadelphia and Ridgway, Pa before moving to Exton/Lionville in 1968. 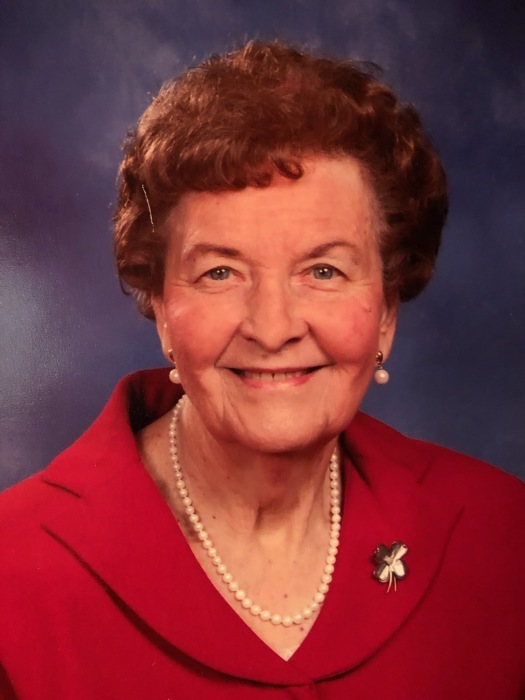 She taught elementary school in the Downingtown Area School District until 1987, when she and her husband retired to Lake Ariel, Pa on Lake Wallenpaupack. She and her husband became avid golfers and traveled extensively in the US and Europe. Anna also loved to sing and was a member of various choirs and chorus’ throughout her lifetime. She is survived by her son, Jeffrey Hoehing of West Chester, Pa and daughter JoAnne Hoehing McCarthy of Madison, NJ; four grandchildren, Graham Hoehing, William Hoehing, Kerry McCarthy Mathisen, Ryan McCarthy; and one great grandchild, Hunter McCarthy. Memorial service will be held at 11:00 a.m., Saturday, November 24, 2018 at St. Paul's Lutheran Church, 104 S. Village Avenue, Exton. Family and friends will be recieved from 10:00 - 10:45 a.m. In lieu of flowers, memorial contributions can be made to the Alzheimer’s Association, 399 Market Street, Suite 102, Philadelphia, Pa 19106. Interment will be in St. Paul's Lutheran Church Cemetery.